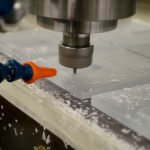 When looking to design a custom critical component for the aerospace industry, finding the right plastics manufacturer is just as important as deciding what resin works best for your project’s needs. 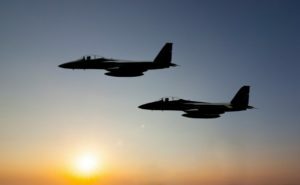 The use of high performing plastics and thermoplastics such as ULTEM, TORLON, PEEK, and RADEL has quadrupled in aerospace design over the last 45 years thanks to their unique dynamic properties, and with them comes the need for precise machining and manufacturing. Before hiring a plastics manufacturing company, first ensure that they have the plastic designing and production capabilities necessary to handle your aerospace project’s needs. The three main plastic production processes are 3D Printing, Injection Molding and Plastics Machining. 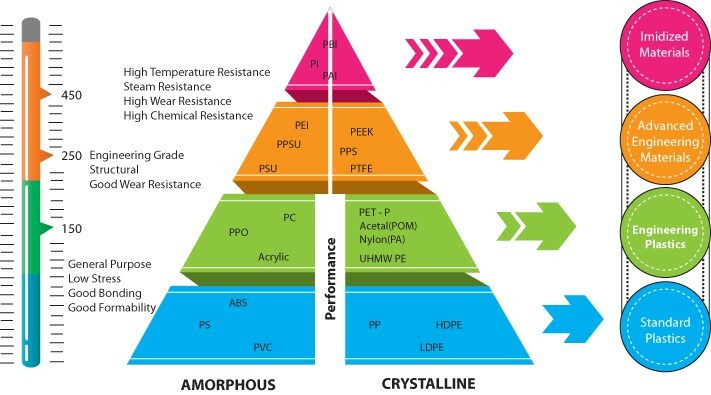 Discovering which technology is most appropriate for your project is dependent on your project’s requirements… and the plastics manufacturer you decide on should be able to tell you the pros and cons of each technology. The manufacturer you choose should also have the ability to navigate from your product’s initial vision through its production, addressing quality and customer care every step of the way. 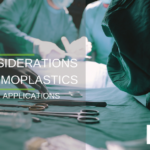 They should be able to competently handle the raw plastic materials of your choice as well, so that you receive the highest quality product in regards to cost, time, precision, efficiency, materials and more. Your project, regardless of specificity, can be machined into a highly precise and extremely resilient product. Here at AIP Precision Machining, our decades of experience working with ULTEM, TORLON, PEEK, and RADEL high performing plastics ensures smooth navigation from your project’s start to finish. Product manufacturing companies must follow industry standards like International Organization for Standardization (ISO), Food and Drug Administration (FDA), International Traffic in Arms Regulation (ITAR) and more in order to ensure that their products hold up to specific requirements. Be wary of companies that have a default “Standard” methods—these are made-up specifications that do not follow recognized, insured specifications. Take a careful look at a company’s ISO certifications. For instance, ISO 9001 is focused on meeting customer expectations, continually delivering customer satisfaction and it requires an organization to demonstrate constant improvement… If an organization doesn’t have this regulated license, you may want to ask them why. Also, consider other notable ISO certifications like the AS9100 standard which is similar to the ISO 9001 standard, but with additional requirements for aerospace manufacturing that are tailored to a particular industry’s quality system expectations and regulatory requirements. Here at AIP Precision Machining, not only are we registered to these standards, but we are registered to the most recent version of the ISO standards. Plenty of plastic manufacturing firms offer consulting services as well as developmental processes. Going with a plastic product manufacturing company that has manufacturing conceptualization engineers can help in the long run if your project requires any design modifications. Engineering support also ensures efficiency through every step of your project’s progression. Some plastics manufacturers also offer quality assurance measures. Not every company guarantees that their end products will hold up to your specifications but the firms that do will additionally offer services focused on comprehensive product design, development, patent registration guidance and prototype creation. Here at AIP Precision Machining, we’re proud to offer a complete and effective quality assurance process that focuses on product quality, fast delivery, and cost-effective options. If you decide to use an overseas factory, asking the right questions is critical to determine if they have the capabilities, credentials, and experience to become your trusted partner. It can often be difficult to find a reliable company that delivers high quality work. Some ways to find the best plastic manufacturer overseas is by asking for referrals, actually flying to their location, and asking a lot of questions and paying close attention to their responses. Many overseas factories will usually have a U.S.-based agent to represent them. If you find a company that seems like a good fit, ask to contact their domestic agent. Domestic manufacturers, meanwhile, greatly reduce delivery times and shipping expenses; one who is in your same time zone allows for easy communication and improved customer services. There’s also the advantage that U.S. manufacturers have higher quality and labor standards, greater payment security, and high intellectual property right protection. AIP Precision Machining is headquartered in Daytona Beach, Florida with an additional sales office in southern California. We provide an “open door” policy to our facility for potential and existing clients. Checking the track record of a company is important to get a clear outline of their performance, customer satisfaction, and overall product deliverability. Ask about their work history to see their range of experience and their level of expertise with aerospace projects similar to yours. 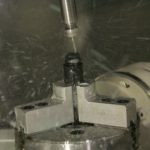 For instance, we at AIP Precision Machining have worked with leading aerospace and defense engineers and contractors such as Lockheed Martin, BAE Systems, and GE Aviation. With our 35+ years of polymer machining experience, we’re ready to take on the most stringent challenge to meet your needs. If you’re interested in learning more about how to choose a plastic product manufacturer for your critical aerospace components, feel free to reach out to us online or call us at +1 386.274.5335 for a free consultation with one of our highly-skilled engineers.